Midlothian Texas - Does HBPM have homes for rent near me? Midlothian Texas is a city in northwest Ellis County, Texas, United States. The city is 25 miles (40 km) southwest of Dallas. It is the hub for the cement industry in North Texas as it is the home to three separate cement production facilities, as well as a steel mill. 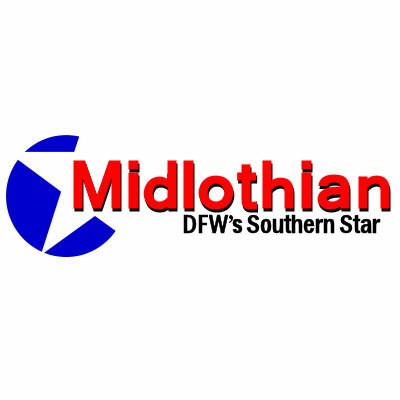 The population of Midlothian Texas grew by 121% between 2000 and 2010, to a population of 18,037. In the early 1800s, settlements began to take place in the area that would one day become Ellis County; however, full colonization of this area was slow until 1843, when Sam Houston finalized peace treaties between several of the indigenous inhabitants of the region and the Republic of Texas. The earliest inhabitants of this area were the Tonkawa people, but other tribes also hunted in this area including the Anadarko people, Bidai, Kickapoo, and the Waco. The future Ellis County area of the young Republic of Texas was known as the Peters Colony, named for a Louisville, Kentucky-based land grant company consisting of English and American investors. The young Republic empresario grant program encouraged settlements in North Texas in 1841. The few settlers who lived in this region trapped animals and sold their pelts, and would also trade goods with the natives. The majority of Ellis County’s original settlers came from the southern half of the United States. They arrived with their cultural and educational traditions, their methods of farming and care for farm animals and for a few, their slaves. Among the earliest settlers, the area that would later become Midlothian Texas included the families of William Alden Hawkins and Larkin Newton, who moved to the area in 1848. For Hawkins to claim his 640 acres (260 ha) of land from the Peters Colony group, he was required to build a house on the property he chose along the mouth of Waxahachie Creek before July 1, 1848. The structure was built before the required deadline, and the land near the present day Hawkins Spring went to the Hawkins family. For Larkin Newton, who moved his wife Mary and their eight children from Missouri, the same requirement was given. Larkin met the due date and became owner of his 640-acre claim. Ellis County was officially established by the Texas legislature on December 20, 1849, on a bill sponsored by General Edward H. Tarrant, a popular Texas Ranger and Indian gunfighter during this period. Organized in February 1850, the county was carved out of Navarro County and likely named for Richard Ellis, the president of the Republic of Texas. In 1883 the name “Midlothian” was accepted by the local population. According to local legend, the area was named Midlothian when the Chicago, Texas, and Mexican Central railroads, which would eventually connect Dallas and Cleburne, arrived in the area and a homesick Scottish train engineer stated that the local countryside reminded him of his homeland in Scotland, and the location served as the midpoint between Dallas and Cleburne, and between Ennis and Fort Worth. With the coming of the railroad, Midlothian grew and was incorporated in April 1888. Midlothian was one of Scotland’s historic counties and is currently a subdivisional council area. Real estate prices in Midlothian are as diverse as the many things there are to see and do around the city. Homes and condominiums can be had for under $100,000 while those seeking more luxury accommodations can find properties for $300,000 and up. Rentals run along the same wide scale, from affordable to upmarket. Herman Boswell knows Midlothian – which also happens to be our home base – like no one else. We not only help landlords with services like applicant screening, rental advertising and real estate marketing analyses, but also prospective tenants and buyers as well. For the service excellence that’s been our hallmark for the last quarter century, think Herman Boswell!